Are Games Becoming Too Real Or Not Real Enough? 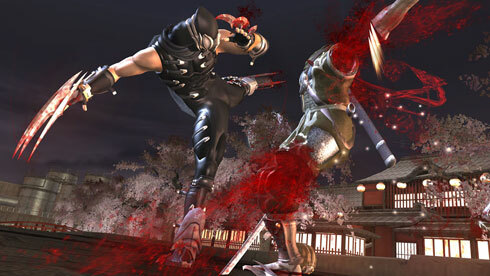 What can you expect from a ninja wearing knifes on his hands and feet? Here in the middle of the year 2012, after 20 or so years of gaming, I have to ask myself a question: What constitutes “too much” realism in gaming? Also, is too much realism a good or a bad thing? Part of me would like to think that I want more realism from games. Blasting an enemy’s head off with a sniper rifle and having it shown in gritty detail seems excessive, but on the flip side using that same sniper rifle and shooting the same enemy through the heart and watching him walk it off like a cat scratch is just silly. This scenario takes place in the same game, which makes me wonder where the balance is, and what is the middle ground? I apparently fall somewhere in the middle of this question, as I don’t mind the gritty gore, but I’d like it to be consistent. A head shot should kill an enemy in a game, sure, but so should a shot through the heart. Just as a shot to the leg should cripple your average human enemy, and a shot to the arm should disable his ability to hold his rifle with both arms and shoot. I think that if I had my choice, games would be a lot more realistic. When my character misses his jump to the next building, three stories up, he is going to fall and break his legs. He will not land and take a little damage that can be easily remedied for some coin and a second or two with a doctor. He will have to crawl to a medical facility and have his legs amputated, because it’s the 1400’s and since you crawled there through filthy streets your wounds are infected, so amputation is necessary. You will have to play through the rest of the game without legs, crawling or wheeling from target to target, no longer able to jump across rooftops or sneak up on anyone. Well, that is a little extreme, and probably wouldn’t sell well, but you get the gist. I think the lack of realism is certain games makes for a smoother playing experience, and allows the player to focus on other elements of the game. The above scenario would be silly, as it would make the game miserable to play. In other games, excessive realism is almost put on for the wow factor, to shock audiences with blood and gore that isn’t normal. It may not be fun to just simply shoot an enemy with a shotgun and have him die, it’s more entertaining to tear him into bits and pieces with one shot at close range. But we still haven’t addressed the first question, what is too much realism? 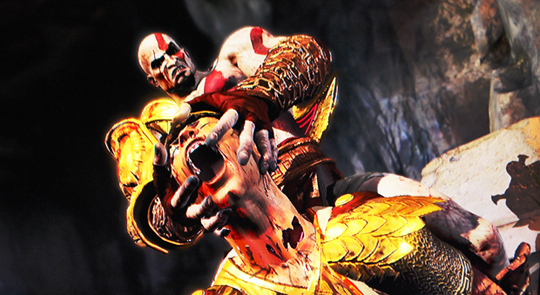 Come on, you know you cringed when Kratos ripped of Helios’ head. I think that question is better answered individually, since it seems subjective. 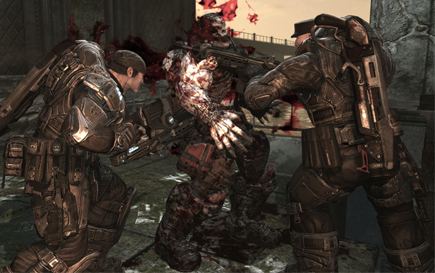 Everyone feels a bit differently about violence in video games and how realistic or not realistic they are. Personally, I think that things are fine the way they are. I have yet to play or see a game that was offensively realistic. I have, though, run across a few games that needed a bit more realism. So maybe the best approach to take, for game companies, is to push the envelope and see how much people are willing to deal with. How much will the community take before we are offended. There are no adverse effects of too much violence, gore, or bloody carnage on the average persons mind, the only thing to lose would be money if sales aren’t doing so hot due to the offensive nature. But things as we see them are already a bit over the top. I mean, there are even a few games that make a fanbase off gore and violence to the extreme. So how much further could they even go? So many questions, so few answers. 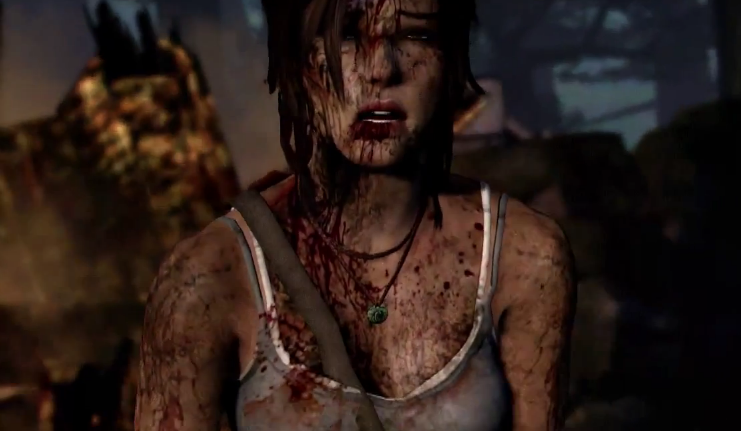 Even the new Tomb Raider reboot is getting a splash of blood. So here are the real questions I have for you all, how do you feel about realism in games? Is it becoming too much, is it just right, or is it not enough? Is it better for people to see things happen in games like they would in real life, or is that subjective and depends on the game you are playing? Ponder this for awhile and let me know what you think, I’m interested in other opinions on the subject. Some games try to shoot for more realism, while there are other titles that go over the top on purpose. The realism factor should be linked to the nature and concept for a given game. Is the character I’m playing supposed to be a pseudo-superhero? Then yeah, I am going to expect my character to be able to withstand some bullet fire or be able to survive huge drops from buildings. Just depends, really. I agree. Thank you so much for the input! I think it depends on the context. I was uncomfortable with the amount of violence in the recent Lara Croft because I read the subtext as generally anti-feminist and spoke to violence against women. However, when I played Bulletstorm, I was giggling at the blood spurting from bodies I threw onto spikes… and I think that’s because the context was intended to be humorous. Great post! Thank you! I concur that it’s all about context.